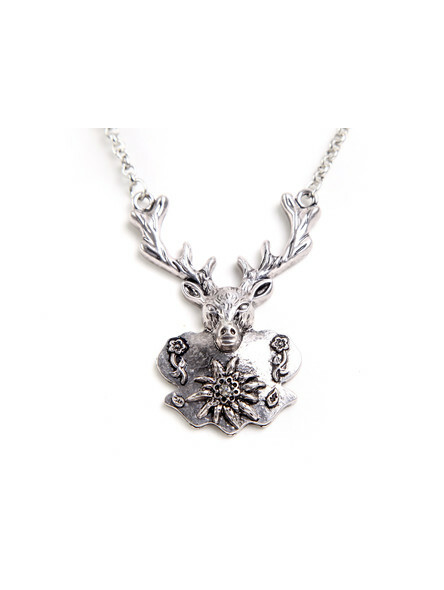 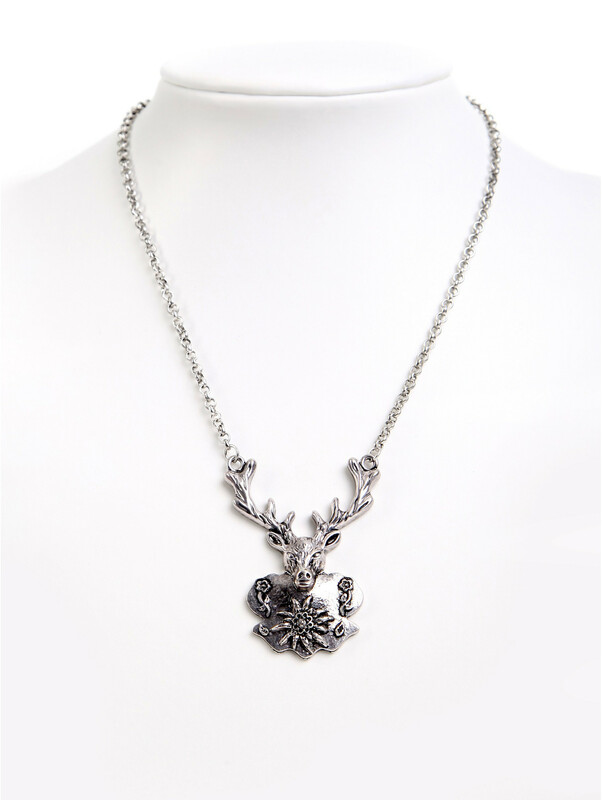 The special feature of this bavarian necklace, designed by professional jewelry designers, is the striking deer head that gives any outfit instantly an eccentric look. 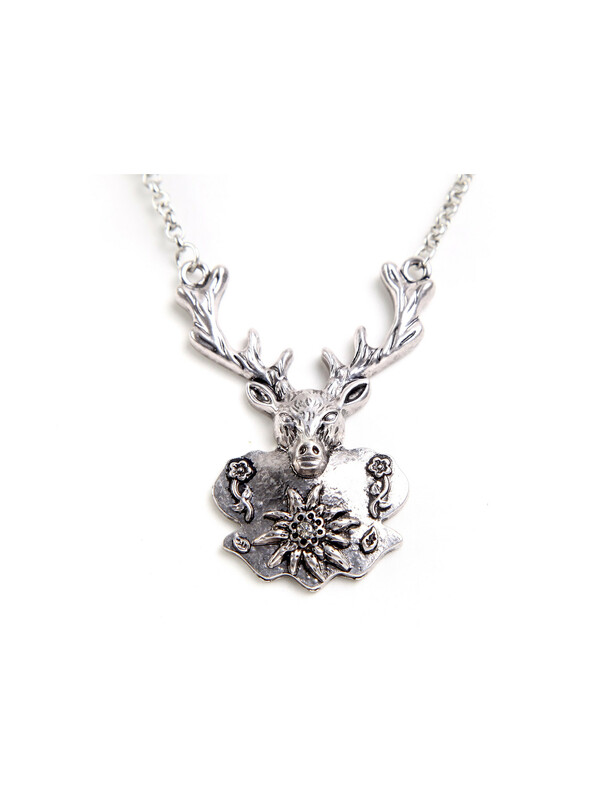 The pendants were fabricated in high quality handwork and were equipped with more details, such as edelweiss or smaller flowers. The length of the necklace is adjustable.